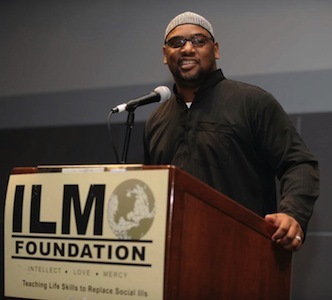 In 1998, the ILM Foundation was founded by one of the most respected leaders in America, Imam Saadiq Saafir, under its parent name, Systems for Human Empowerment. ILM is a product of his thirty years of community service. As a dynamic speaker, his lectures have motivated people to identify solutions to the social problems that plagued their communities. Also, in 1998 ILM Foundation coordinated a historic event called The International Day of the Family. Over 10,000 Angelinos of diverse ethnicities attended and enjoyed international food booths, carnival rides, special Hollywood guest appearances and lectures by community leaders. It was during this event that former councilmember Mark Ridley Thomas awarded ILM Foundation its first outstanding community service recognition award. 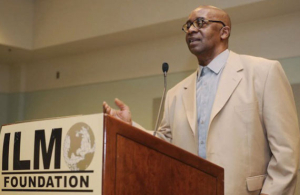 The two men responsible for transforming ILM Foundation’s ideas into vibrant community based programs were co-founders Naim Shah Jr., CPA and Hanafi Shakur. ILM quickly became known for hosting excellent interfaith gatherings, family workshops, homeless feedings, toy drives and college tours. ILM also offered many non-profit organizations in Los Angeles, free non-profit technical assistance. 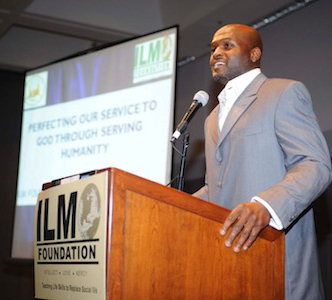 Imam Saadiq Saafir trained both co-founders for ten years, resulting in Hanafi Shakur becoming ILM’s first Board Chairman and Naim Shah Jr. its Executive Director in 2003.